Looking at my WiP list, I think my word of the year will be focus. 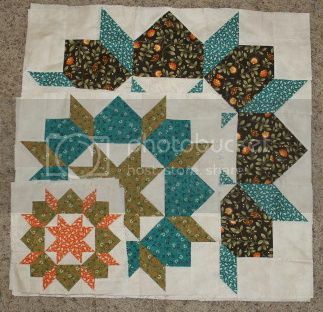 I need to focus on a few quilts at a time until they're done, and not start TOO many new projects until I've whittled down the WiP list. 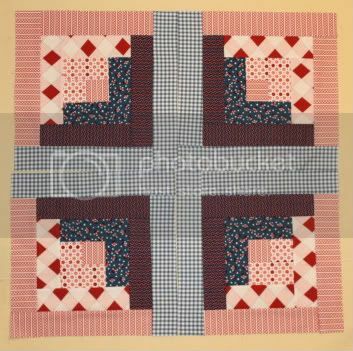 And I say that knowing I'm going to do Pins and Bobbins' Made in Cherry Quilt Along. 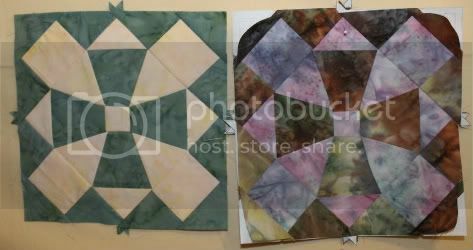 I separated quilts by quarters, for Quilter in the Gap's Finish-A-Long. I'm not saying I won't work on any out of its quarter (or start any extras), but I'd like to finish the ones listed by the end of each quarter. Skorca! - not quite as far along on this one. 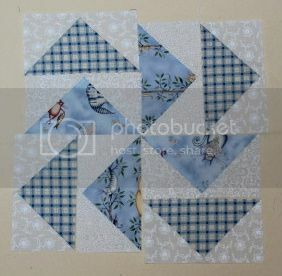 I'm doing a 6x6 layout, so I have a ways to go still. 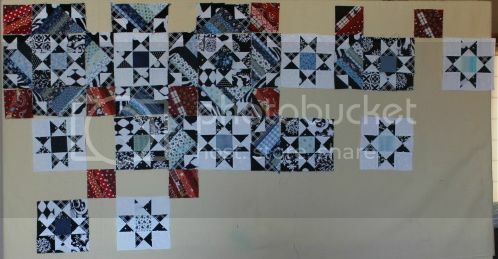 LQS Saturday Sampler - 10/12 blocks finished. I'd like to finish this for my MIL's birthday in May. Swoon A Little, Swoon A Lot - probably need to make about five more 8" blocks before assembly - which I might just make as part of I'm A Ginger Monkey's Quilt-Along. What can I say? I'm a sucker for a QA. Chunky Log Cabin - 13 blocks finished. I forget how many I need. St. Paul's Cross - 2/?? finished. This is for my best friend's birthday in September. Jarred Picnic Quilt - I've had the fat quarters for this for 2+ years. 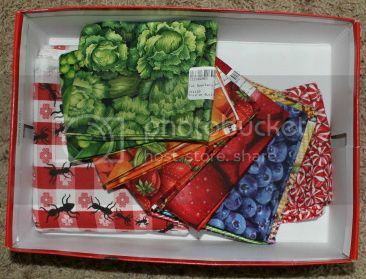 I'm going to make mason jars full of food (and candy) for a picnic blanket. 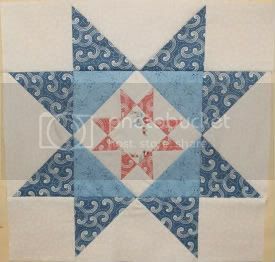 Dutch Pinwheels - I'm probably about halfway through the flying geese I cut for this one. No idea what the full layout will look like. Star Wars Iotacons - mentioned this before. I'm planning on using scraps from this year's Saturday Sampler (plus other solids I've collected in the last few years) to make Iotacon versions of Star Wars characters. 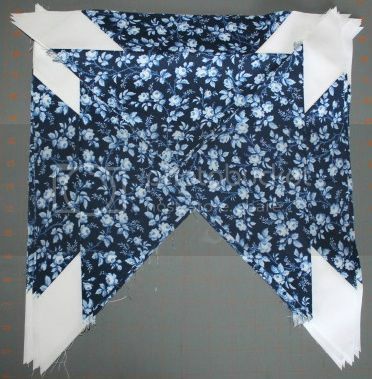 Drunkard's Path - I'm taking a class in April on curve sewing, and giving myself a generous amount of time to finish it. 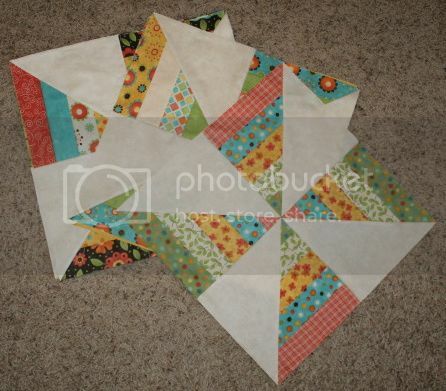 One every other month, plus keeping up with the finished quilt tops this year...doable? Maybe?